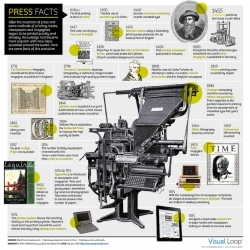 From Gutenberg to iPad, "Press Facts" is a super great infographic poster by Brazilian Designer Flávia Marinho for Visual Loop. 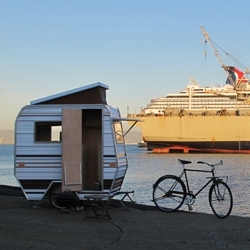 Kevin Cyr's post-apocalyptic mobile homes are foretelling and whimsical. If you are in San Francisco April 30th come out and see his solo exhibition at 941 Geary. 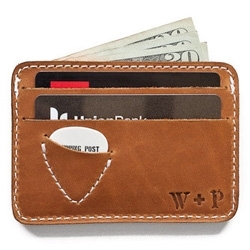 Whipping Post Leather has the perfect slim wallets for guitar players ~ Picker's Wallet! Cute little pick pouch built in! 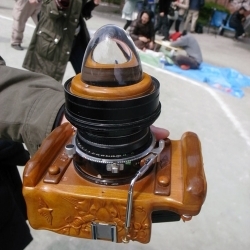 A homemade medium format camera complete with carved wooden body and 360 degree lens (that looks like a crystal ball). Caught on Tokyo Camera Style. FEATUREDHi there! 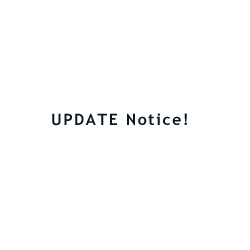 We're making lots of changes, smaller ones rolling out first ~ just wanted to let you know links NO LONGER OPEN IN A NEW WINDOW! 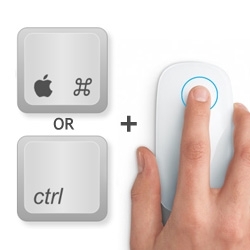 So click accordingly! :) Thanks, NOTCOT. The Minister’s House in Crossville, Tennessee is a treetop mansion! 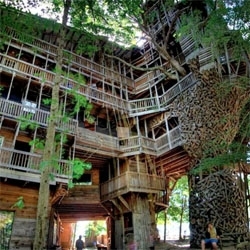 The largest tree house in the world. Construction began in 1993. 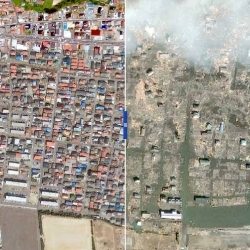 Now , in 2011 it measures 10 stories! 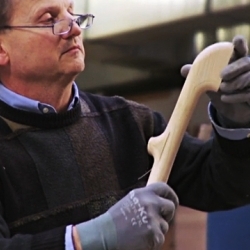 'Tip Ton' Chair by Edward Barber and Jay Osgerby in collaboration with Vitra. Cool video about it! 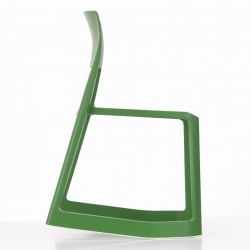 The Tip Ton chair will launch at the Milan Salone del Mobile, Hall 20 C05/ D04 from 12 - 17 April 2011. From 2007 to 2010, Gallup asked people in 148 countries all over the world what country they would consider moving permanently to. GOOD and Column Five Media share the results with this cute infographic. 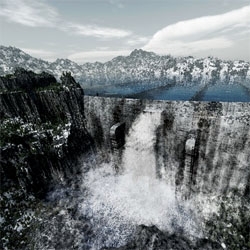 Post Natural by Giacomo Costa will be on show at Düsseldorf 's Galerie Voss from April 1st to May 21st. 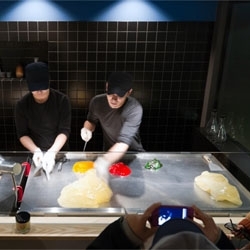 We've featured papabubble before [#9026], but check out their new Shibuya store design! Love the fact that it's got an open kitchen so you can watch how the delicacies are made. Tian Tang’s ‘Come and Draw’ kids drawing table is made for cultivating the artistic potential of little kids, but bigger kids can enjoy it, too. 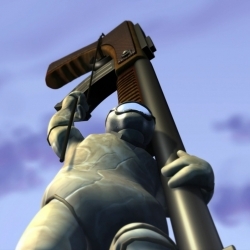 Chris Perry's animation short Incident at Tower 37 [previewed in #32633] is now online in its entirety. Released yesterday to correspond with World Water Day, the film is beautifully executed with a chilling message. 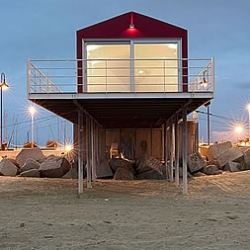 A room over the sea, Pescara - Italy. Designed by Zero85 architects. 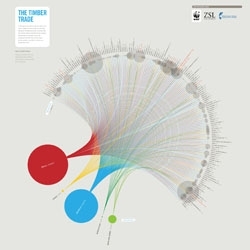 Infographic: The Global Timber Trade, Who's Buying, Who's Selling? By Good for the WWF, designed by Section Design. Dietrich x Düller. 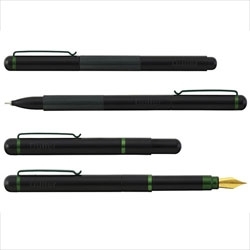 Writing instruments have never looked better. The marriage of Japanese sensibilities and German functionalism have created Duller’s carefully detailed stationary collection. 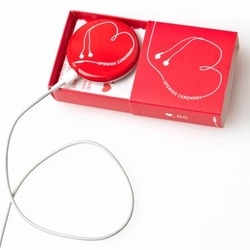 Opening Ceremony's Playbuttons (like in #38615) ~ exclusive wearable mix tapes of sorts that you can plug headphones into and play! United States of Unhappy Campers. 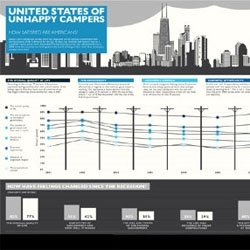 Infographic from GOOD and Column Five Media reflecting the results of hte 2011 Gallup satisfaction survey. 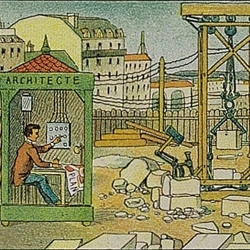 Illustrations from 1910 predict our post-industrial future. 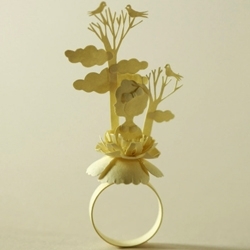 Stunning paper ring sculpture by Elsa Mora. 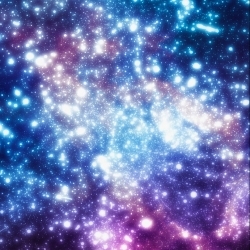 Map of The Stars is our attempt to depict the encompassing feeling of space through a mixed-media approach. Our aim was to limit computer use till post-production, relying on ink and watercolor to drive the piece. 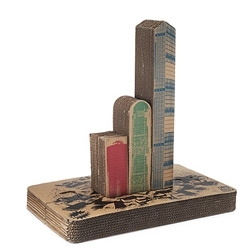 Cats Attack scratching post ~ for the architectural cat... or for it's inner king kong? 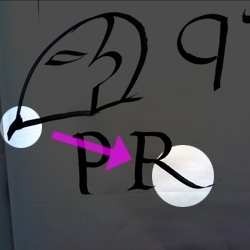 Elizabeth Anderson gave a lecture explaining the origins of letterforms. Of particular note: R has a beard. Switch Design created these glass food covers. 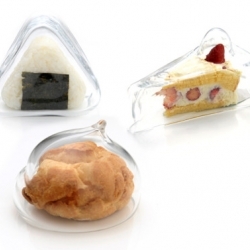 Each was designed for a specific type of snack – onigiri (rice ball), shu cream (cream puff) and a slice of cake. 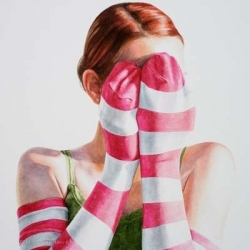 Colorful stripes,polka dots and patterns are the key elements of Ali Cavanaugh's pretty, photorealistic paintings. 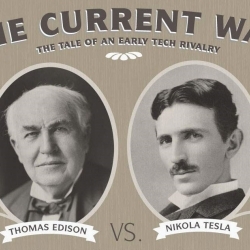 You would have never found two geniuses so spiteful of each other beyond turn-of-the-century inventors Nikola Tesla and Thomas Edison. They worked together—and hated each other. Compare their lives, achievements, and battles. Are you happy with this? 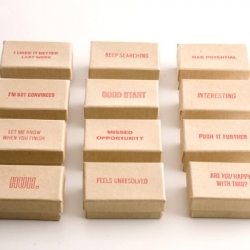 Pick one of the Stamps of Disapproval designed by Heather K. Phillips and start disapproving! 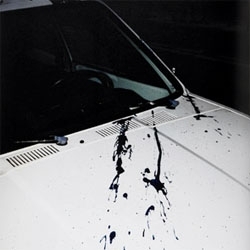 Sébastien Girard 's new book, 'desperate cars' captures the exhausted, abandoned, and wounded. 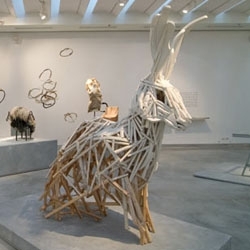 Post Fossil: Excavating 21st Century Creation is an exhibition at the Design Museum Holon in Israel with works from over 60 designers using primitive materials and methods. 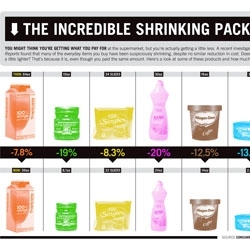 Are you paying the same amount for smaller products? Infographic collaboration between GOOD and Bradley R. Hughes for Consumer Reports. Your hairstyle defines your personality in many ways. That's the fact visually told in those impressive Wella ads illustrated by Ayana Nissan. 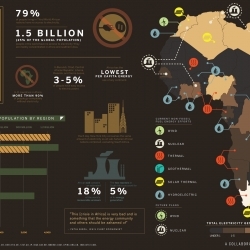 Transparency: The Quest to Power Africa. 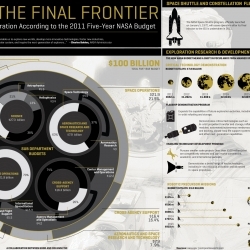 An infographic collaboration from Column Five Media & Good. 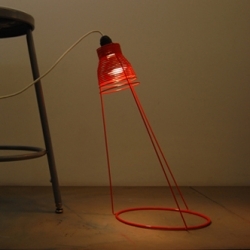 Designer Soo Kwon fused high-design with low-tech manufacturing to create the Licht. 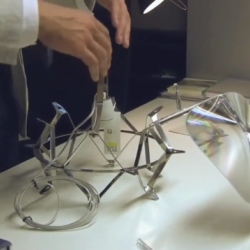 The result is a beautiful and simple light fixture that was produced at a relatively low cost. "The two roads to courage." 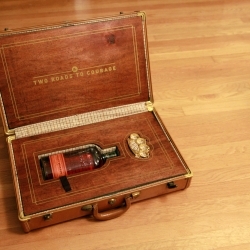 A suitcase that holds nothing but a bottle of bourbon and a set of brass knuckles. 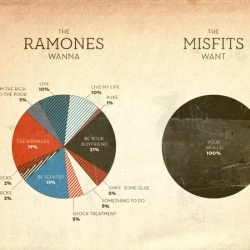 The desires of old school punks. 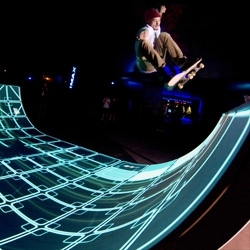 VIDEOThe making of a ground breaking new skateboard installation by ENESS [see #36792] created for the Premiere of Tron Legacy in the streets of Melbourne, Australia. 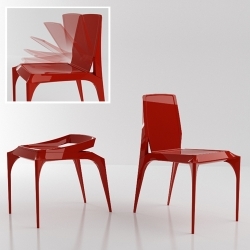 Industrial designer Jang Yoon's Janus Chair takes a modern and clever new approach to the concept of stackable chairs. Pick your white and color the polar bears in a whole white world! 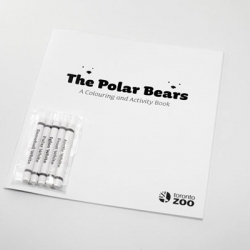 The Polar Bears coloring book from Toronto Zoo. 20 pages to color and 5 crayons (snowball white, polar white, frost white, igloo white and the popular Arctic white). 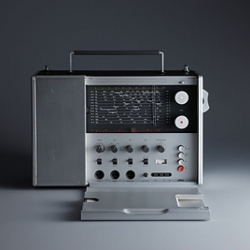 Dieter Rams’ T1000 for Braun is a fantastic example of how colours can help identify specific functions. 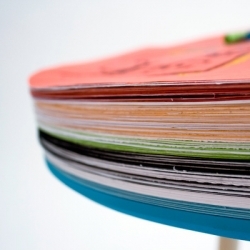 Post by Giorgio Biscaro titled Forms/Functions/Behaviours (Colours #1). 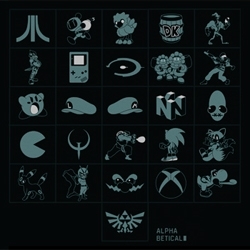 Maicon Costa creates and alphabet composed of classic videogame characters and icons. Plaid creative's 11 favorite type foundries for 2011. 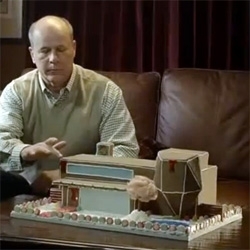 FEATUREDAwesome post-modern Gingerbread "Palazzo" in the Acura Season For Reason ad! 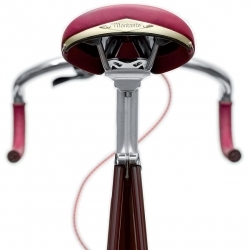 This is the ultimate creation of pure Italian love: Montante for Maserati 8CTF. This is Parisian lifestyle. 'I am a Parisian Lady' photographed by Baudouin.